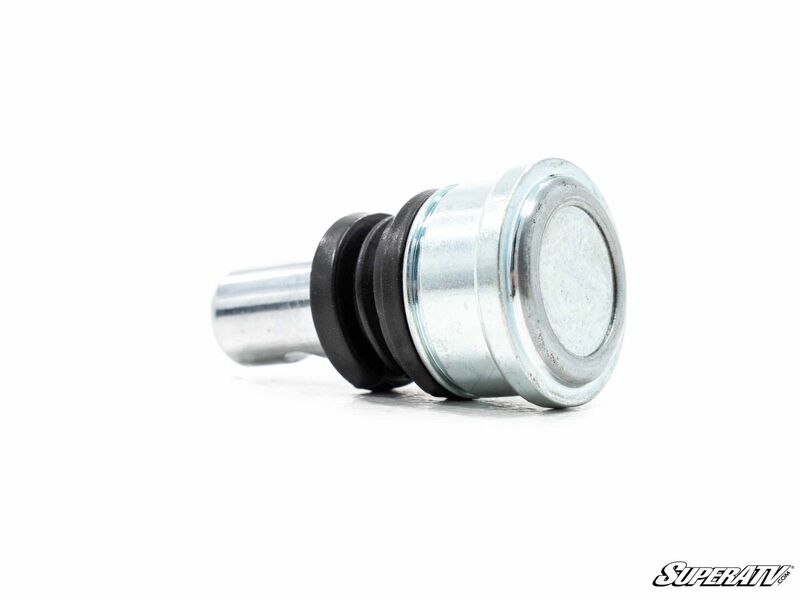 SuperATV’s Polaris Replacement Ball Joints are OEM quality without the OEM price. Our ball joints are made with hardened chromoly steel studs and housings—all zinc plated—for superior strength and longevity. That means these ball joints can take all the biggest bumps, whoops, and jumps you can find. The zinc plating and secure rubber boots mean that even if you ride through mud and creeks on the regular, these ball joints will keep moving smoothly mile after mile. All that makes it as strong or stronger than stock. Whether you’re full-throttle on the trail or getting work done on the farm, SuperATV’s ball joints will make your ATV or UTV go further.